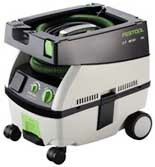 We only use the very latest, top quality dust free sanding machines. The best-known floor sanding machine in the world. Perfect results - even with difficult floor surfaces. The Trio Floor Sander is the ultimate floor finishing sander, ideal for parquet, new floors and special floors where the most fine sanding is required. Not many sanders use this special machine! Perfect sanding of difficult edges and stairs.